Mark Uzmann earned an MFA (2002) while teaching psychology at the Savannah College of Art and Design. He has also taught photography at the College. He has recieved awards for his work including Best of Show (1997), Arts on the River a yearly juried event -Savannah, Georgia, and a Special Merit Award the following year in the same overall competition. 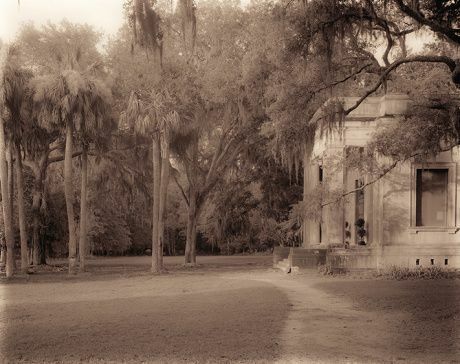 In 2007 two of Mark's photographs were accepted into the permanent collection of the Telfair Museums of Art - Savannah. His work has been published - he provided the jacket photograph for "Remaking Wormloe Plantaion, The Environmental History Of A Low Country Landscape" by Drew Swanson. The book won a Georgia Historical Society award (2013). Traditionally Mark Uzmann has been most concerned with developing a visual conservation of the South as a region, as a kind of a psycho social phenomenon found no where else, and, so to say, no when else. That being said, his photographic interests are varied and he has a number of efforts he works on at any given time.